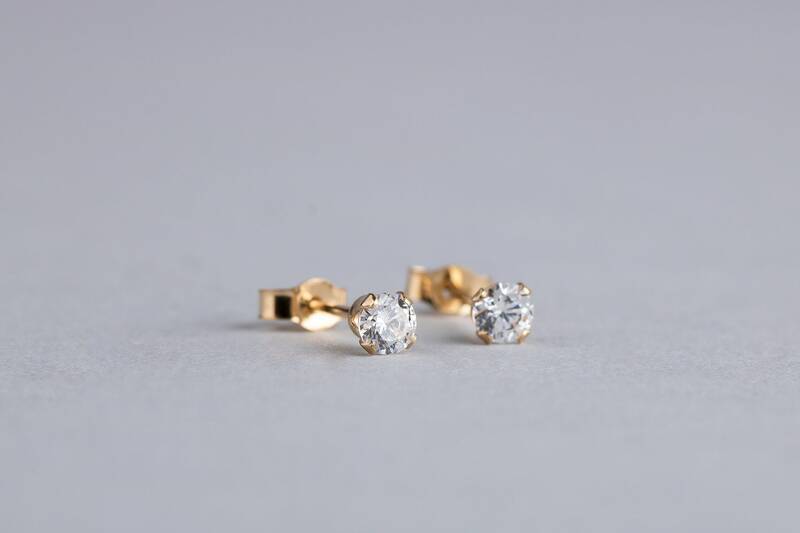 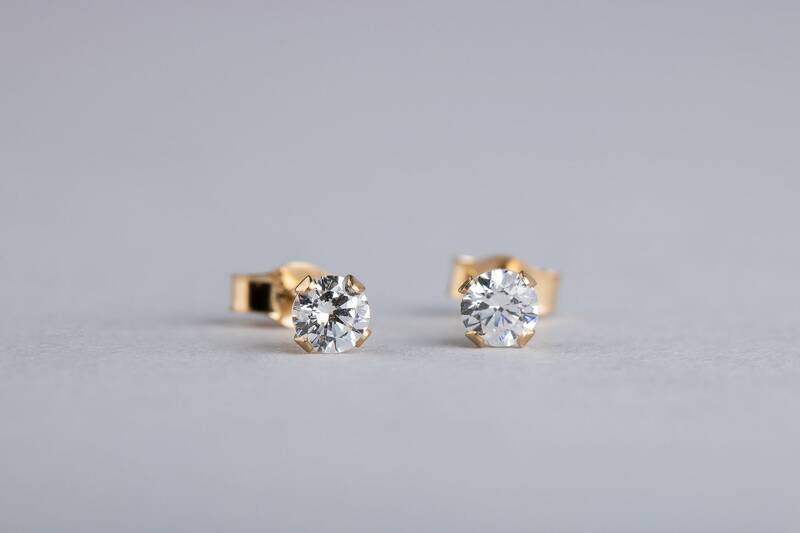 Easy and simple everyday post earrings made from solid 14K Yellow Gold and CZ gemstones! 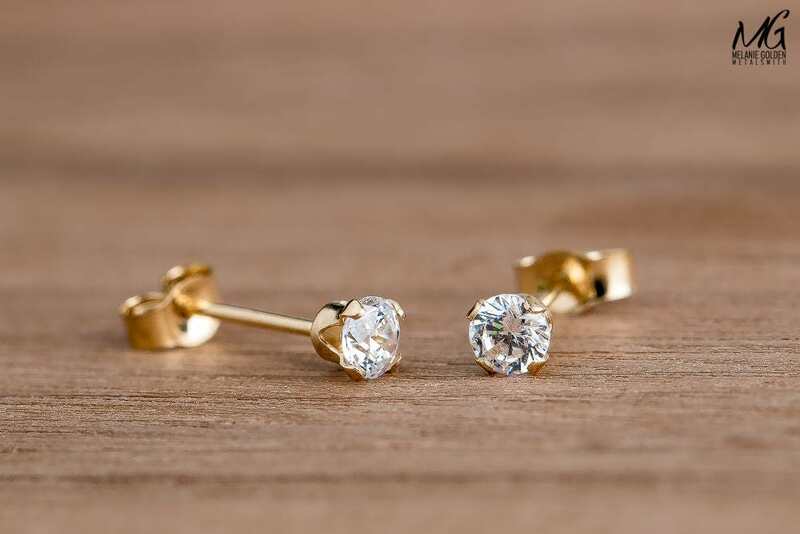 Cubic Zirconia is the birthstone for April. 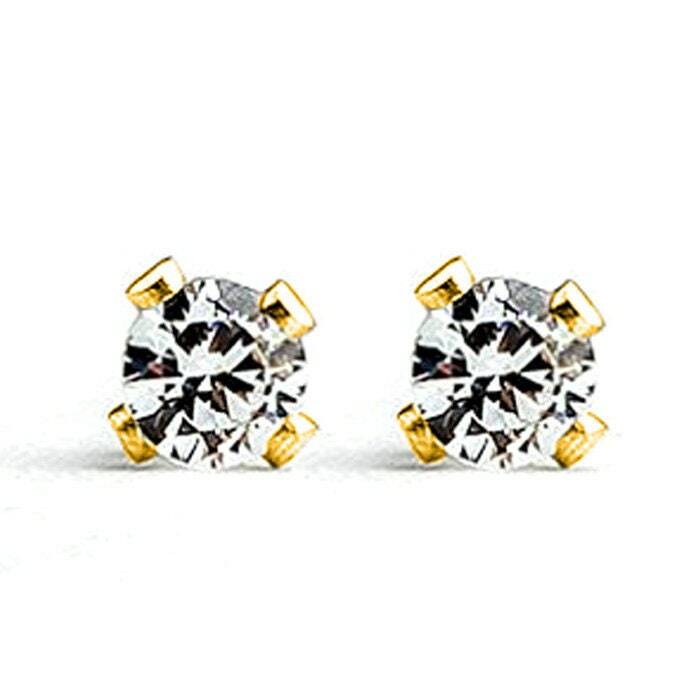 The bright-white flash of this high-quality round clear CZ makes it a great choice. 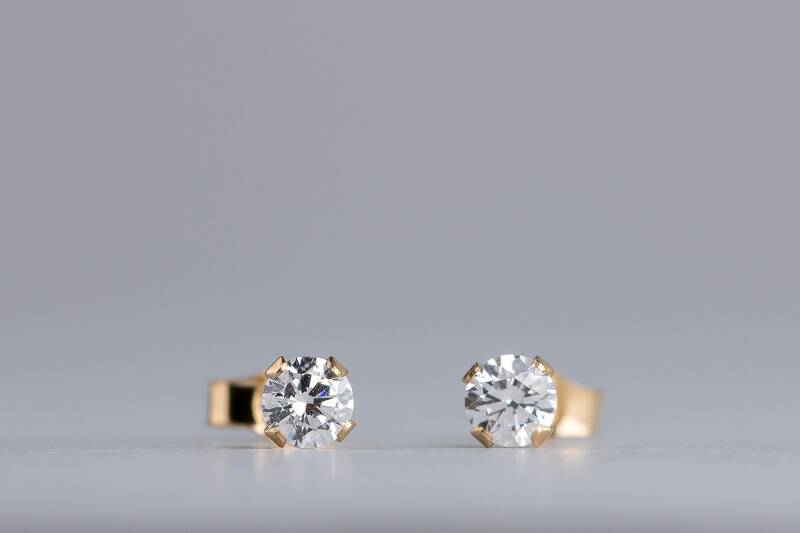 An economical alternative to diamond, cubic zirconia is a lab-created white gemstone that offers an excellent play of light. 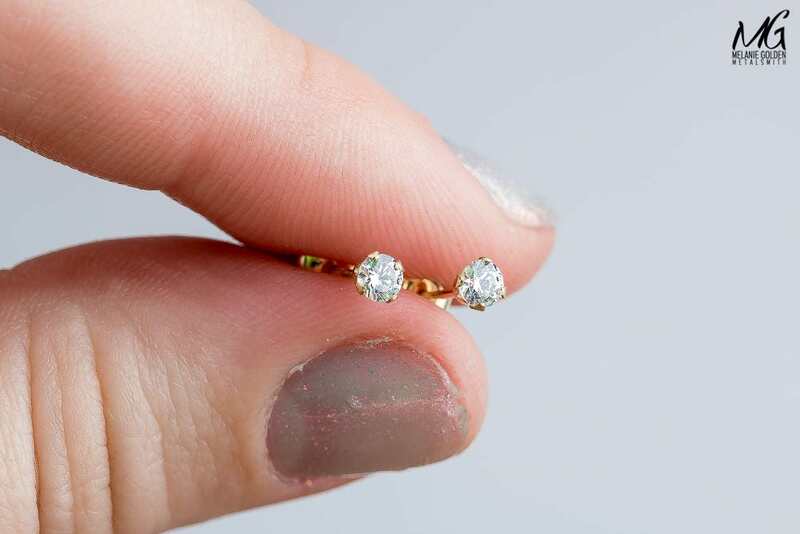 - CZ (Cubic Zirconia) stones measure 3mm. 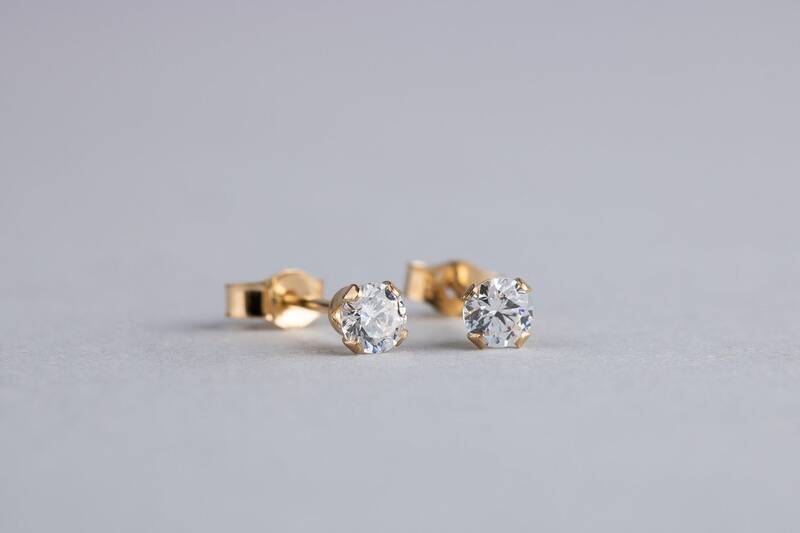 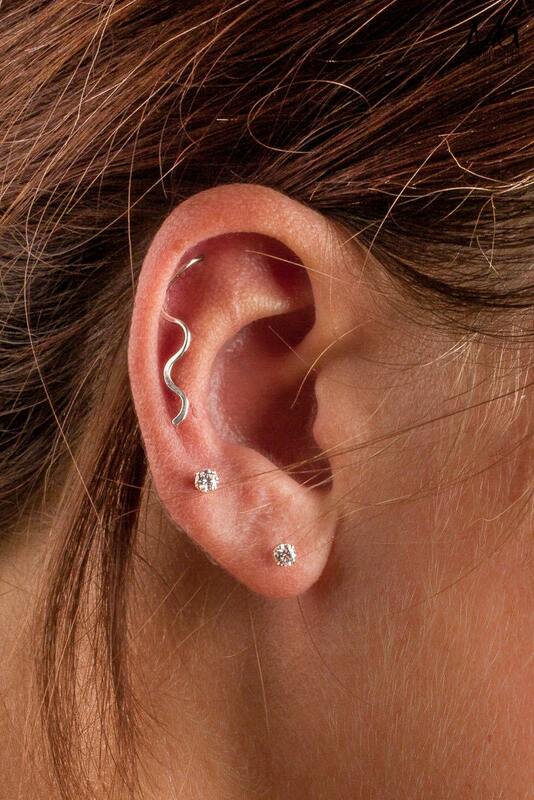 - Earrings are made entirely from solid 14K Yellow Gold. 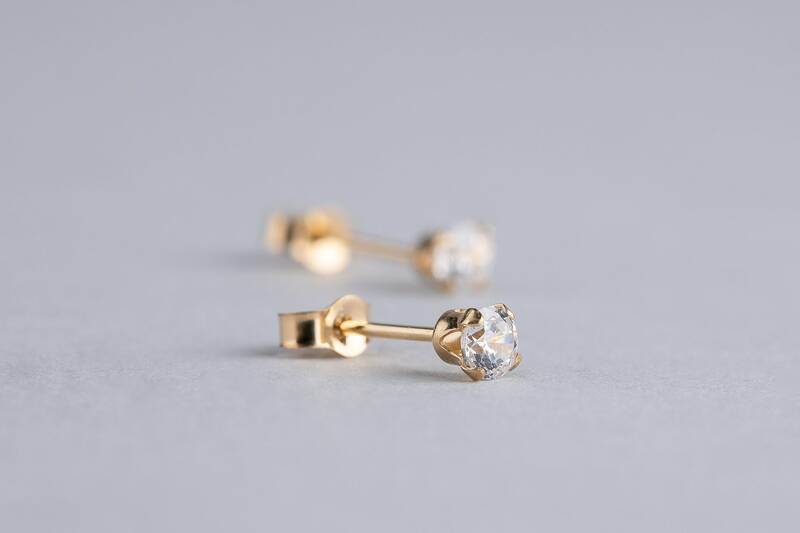 - Earrings come with solid 14K Gold silver butterfly backs.